Variety is reporting that Macon Blair (I Don’t Feel At Home in This World Anymore) is attached to write and direct a reboot of the cult classic The Toxic Avenger for Legendary. Blair’s directorial debut, I Don’t Feel At Home in This World Anymore, premiered in 2017 and won the Grand Jury Prize award at the Sundance Film Festival. Onscreen, Blair has starred in Blue Ruin, Green Room, Murder Party, Gold, Logan Lucky, American Woman, and Netflix’s horror drama Hold the Dark. The original 1984 comedy, produced by Lloyd Kaufman and Michael Herz, is set in the fictional town of Tromaville, N.J., and centered on a mild-mannered janitor at a health club who’s chased out a second story window by bullies and lands in a drum of toxic waste. The chemicals cause him to transform into the Toxic Avenger, who has superhuman size and strength and stands up to bullies and corruption. 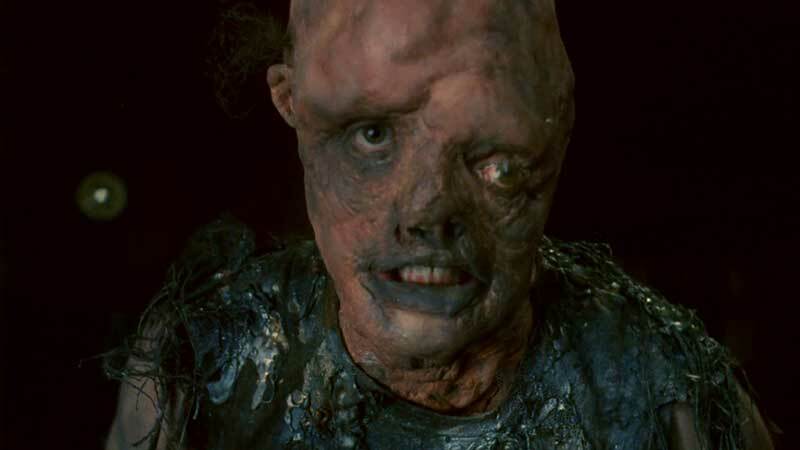 The original film kick-started a franchise, including feature sequels, The Toxic Avenger Part II, The Toxic Avenger Part III: The Last Temptation of Toxie, and Citizen Toxie: The Toxic Avenger IV, as well as a strange musical production, a children’s cartoon TV series, and a Marvel comic. Kaufman and Herz will serve as producers on the reboot for Troma Entertainment, with Alex Garcia and Jay Ashenfelter overseeing for Legendary. The studio acquired the rights to the film back in December.